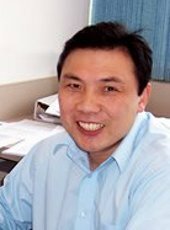 Dr. Yun Hang Hu is a professor in materials science and engineering at Michigan Technological University. He received his PhD in Chemistry from Xiamen University. He has published more than 100 papers in peer-reviewed journals with more than 2100 citations. He has served as a chair or co-chair for 13 international symposia. He is a program chair for ACS fuel chemistry division (2012) and for ACS energy and fuels division (2012-2013). He is an editor for ACS series books, a guest editor (or editorial board member) for three international journals, and a peer reviewer for more than 40 reputed journals.